This post is brought to you in partnership with Shoe Carnival. As much as I love getting dressed up for holiday parties & special events, when it comes to my everyday style this time of year, I’m all about keeping warm…which usually means jeans, cozy layers & comfortable shoes. Whether I’m driving around town running errands, delivering holiday cookies to friends or having a lunch date with my husband, my focus is on creating chic, casual looks that I know I’ll feel my best in. Today I’m sharing two new outfits with you that are great for the weekend & beyond, plus I’m highlighting some amazing deals on my favorite footwear from Shoe Carnival. When it comes to comfort, sneakers are the reigning champion of shoes, but they aren’t always the appropriate choice in the winter months. But, these Keds shoes are like a hybrid between a sneaker & a boot, which makes them insanely comfortable. They have a cozy faux fur lining that helps keep feet warm & they’re water-resistant, so they’re the perfect choice for those rainy/slushy days. I typically wear the traditional winter boots, but decided I wanted to mix it up this year & try something different. So many all-weather boots are bulky and awkward – I like that these are easier to move around in & look more stylish with my casual weekend layers. 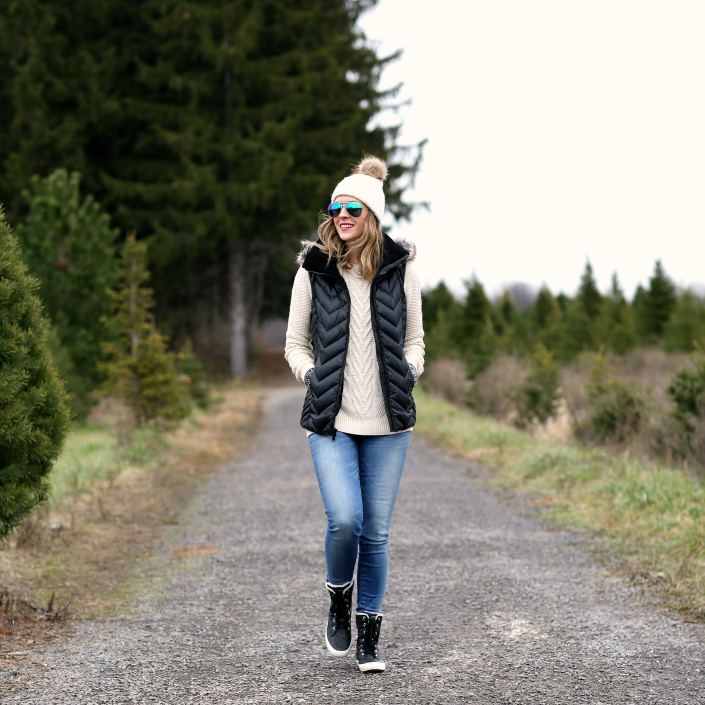 I wore them on a recent trip to our local tree farm – we weren’t able to get a tree this year due to the two-week travel we have planned, but we had fun exploring the property, petting the cows & picking out the prettiest wreath for our front door. Another way to shake up your holiday style is to try something a little unexpected – like wearing your favorite blanket scarf in a different way & styling white denim for the winter. I’ve talked before about my preferences when it comes to ankle boots & how hard it can be to find the exact pair you want in the right color, heel height & shape. These booties are real suede with a comfortable block heel & slightly pointed toe that make them endlessly versatile for pairing with jeans or skirts and dresses. 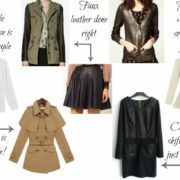 The neutral color means they’ll go with everything + you won’t believe the amazing low price! Shoe Carnival has tons of affordable boot styles right now – this lower heel option, which I also own, is a casual favorite of mine & these black ankle boots are a serious steal. Shoe Carnival provided me with product and compensation. The opinions I have shared about the products are my own.